Aravalli, the oldest mountain range, which for years had insulated the national capital from desert winds and provided the much needed green cover has been dying a slow death for many years but a social organisation, Save Aravali, is fighting for its survival. 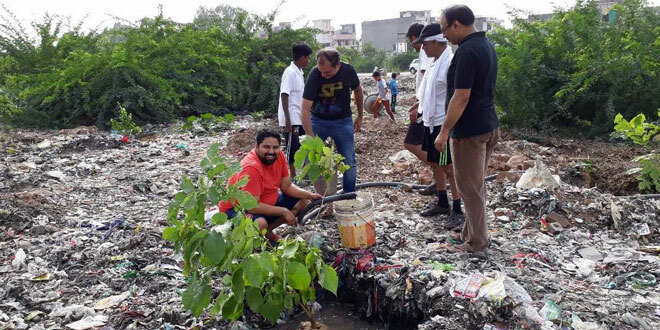 When 23-year-old Parikshit Joshi, a resident of Sainik Colony, Sector-49, Faridabad, returned home after a year from Mumbai, he was amazed to find a garbage dumping site opposite to gate number 3 of his colony transformed into a forest. Just year ago, when he had last seen the spot, it was a government land turned into a garbage dump with an unbearable stench emitting clouds of smoke. 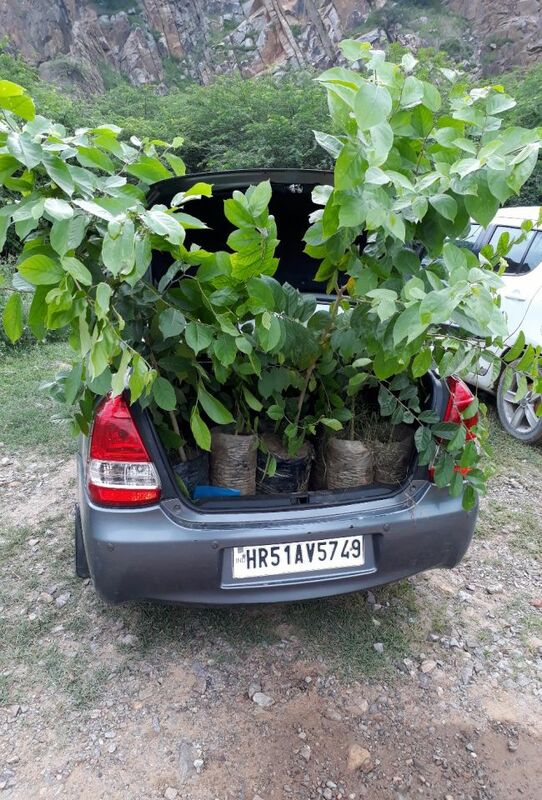 But thanks to ‘Save Aravali’, a social organisation, that took the responsibility of turning garbage dump yard into city forest. While the nearby colonies and villages were using the government land as a dump yard, garbage collectors were contributing to the existing levels of pollution by burning the accumulated garbage at the dump yard. Stink and smell would go hand in hand. 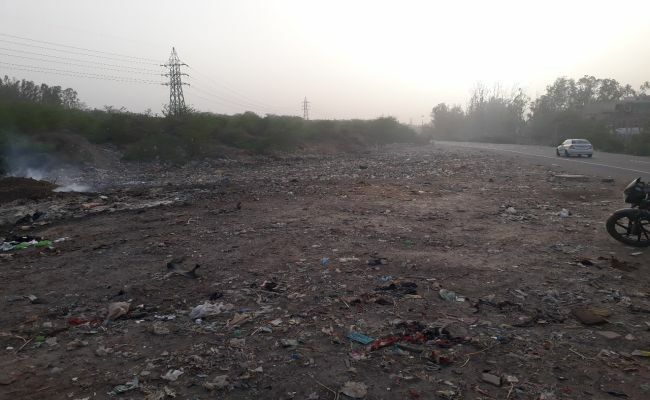 From morning to evening, residents of Faridabad and travelers of Badkhal Pali road would see garbage burn, tells Yash Bhadana, treasurer, Save Aravali. Concerned by the state of pollution, Save Aravali team approached numerous authorities, filed many complaints, wrote multiple letters, but all appeals fell on deaf ears. 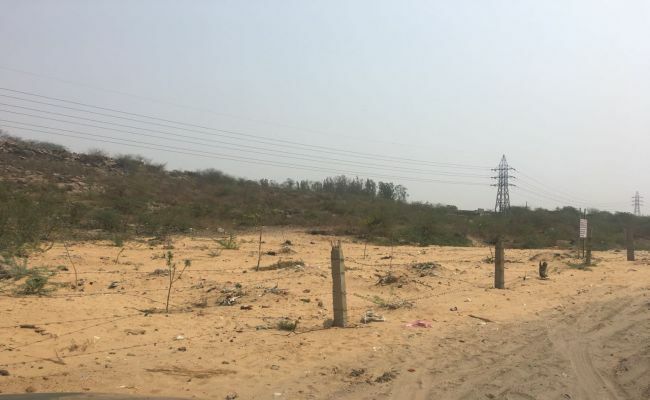 Tired of running pillar to post and approaching several officials to clear up the land, the team decided to take up the responsibility and convert the unauthorised garbage dump into a City Forest. Last year, in July, the team started with the process of growing a forest. 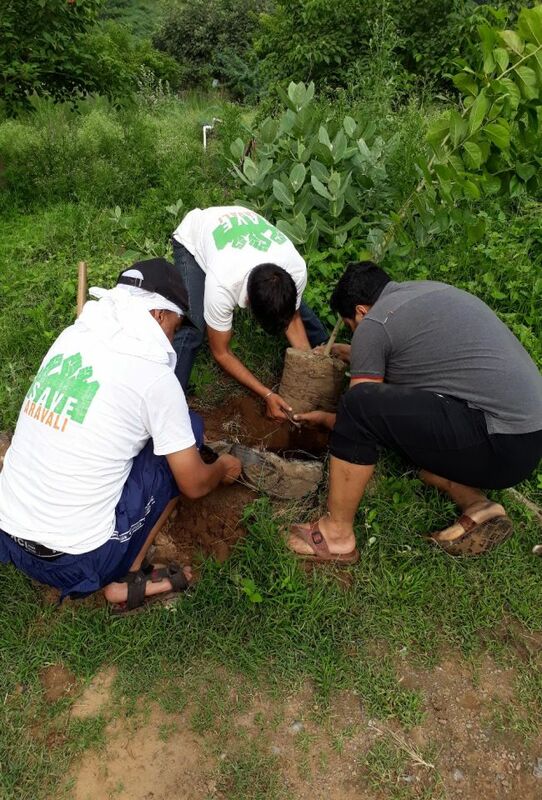 From planting around 200 plants of different varieties to putting up an aluminum wire fencing for security of the plants and to stop people from throwing garbage, the team managed to give a whole new look to the garbage dump within a year. The entire project was done in collaboration with some government departments and social organisations. As per our policy, we are committed to the society to take care of feeding and securing the plants for three years. The total estimated budget for this project for three years is Rs. 503,800, informs Mr. Yash. The spread of urbanisation, malls, six lane highways, encroachment, has led to the degradation of the pristine ecosystem of the Aravallis. Worried with the state of Aravalli – the lifeline of North India, Jitendra Bhadana, in the year 2010 started planting trees, digging holes for ground water recharge, working on water conservation and restoration of natural resources. Slowly and gradually, people started recognising the efforts of Jitendra and joined him. In the year 2015, Save Aravali got registered and now it has 15-20 members from different walks of life. Aravalli is a natural barrier plus the game changer for Delhi NCR. In fact it is the only barrier which restricts the dust storms and the desertification. Need of the hour is to plant trees and nurture them and create more green cover. Every year the team plants 300-400 plants. The number of plants planted depends on the time they can spend on nurturing them. Till today, the team has created three green covers around Faridabad. Natural winds from Rajasthan which engulfed the national capital Delhi, in mid June can be attributed to deforestation. Aravalli range used to be a natural barrier, but indiscriminate construction and other man made causes have eroded the Aravallis away and the environmental impact is being felt. Because of lack of forest stock on the Aravalli hills, the gaps between ranges have turned active and are aiding the drifting of desert sand towards fertile plains. While the years of neglect have caused substantial damage, organisations like Save Aravali are trying to undo the damage and restore the green cover. Previous Post: Story Of ‘The Peepal Baba’, Man Who Has Planted Over 20 Million Trees. Next Post: What all can we learn about Recycling from Indian moms?